Want to make better Asset Allocation Decisions? 401k plans are very often the most valuable asset for an individual or a family besides a home. Unlike home-ownership where you are literally in and around your investment everyday, 401k plans often go unattended for long stretches of time. 401k-Checkups give you a simple and effective way to evaluate the health of your 401k plan. 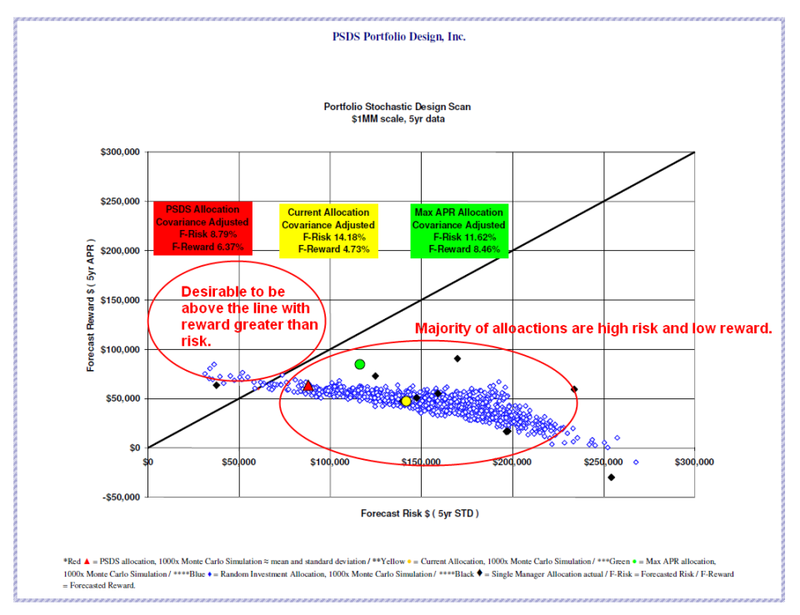 Stochastic modeling can help you determine the likelihood that your 401k portfolio will provide the performance you want! The bottom line is IF your retirement portfolio could have done better had you spread your money differently across your existing investments, wouldn’t you want to know what those asset allocation were? Now you can enjoy the benefits of advanced simulation modeling to examine a broad range of possible allocations to help with your decision making. 401k-Checkups™ give you the advantage of portfolio simulations to gain insight and identify the strengths and weaknesses of your current 401k. * Find your company link above or below and click! – A page will open and with All YOUR Plans options filled in! – Input YOUR portfolio/401k allocation (in percentages or actual amounts) for each investment you hold. – Choose the Checkup/Scan you’d like and add to the cart. * If you don’t see your company…Simply click Set Up Our Plan or Get a daily session.